Made with love for hardworking hands, our handmade Grapefruit & May Chang Candle is a complete natural when it comes to gentle cleaning. Packed with essential oils and natural ingredients, its fragrant lather works wonders on sensitive skin. When you’re feeling a little frazzled, surround yourself with the empowering scent of Grapefruit & May Chang. 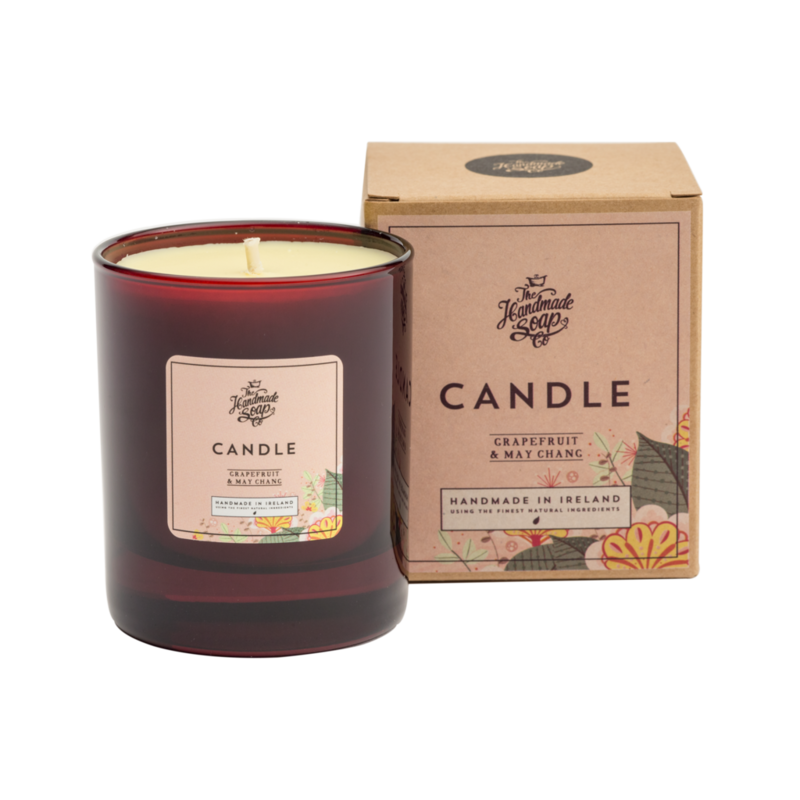 Hand-poured and made from natural soy wax, it’s pure inhalable bliss. Handmade with love and care in Meath, Ireland. Totally naturaly ingredients from plants and mineral extracts. Handmade Soap Co. never, ever test any of their products on animals. FSC approved card used in packaging.